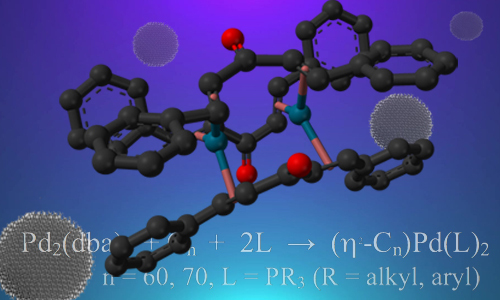 Mini Review: Tris(dibenzylideneacetone)dipalladium: New Life of the Old Synthon for Pd(0) atom. We invite investigators to contribute original research articles(3-5 pages) as well as mini reviews(6-8 pages) articles that will stimulate the continuing efforts to understand synthetic methods and characterization of new inorganic compounds, ceramics, nanoparticles, oxides, etc. 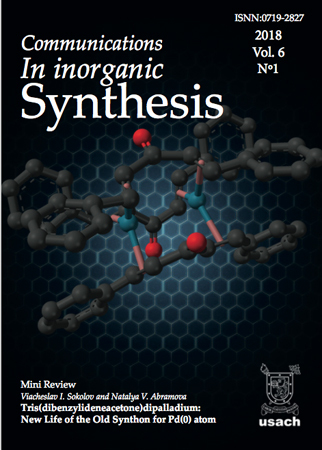 Why you should publish in Communications In Inorganic Synthesis? Swiftly communicate your novel concepts and ideas to a broad Interdisciplinary readership. Get your manuscripts peer-reviewed within 3 weeks and published online within 1 week after acceptance. Receive the highest open access visibility for the scientific community, industry and general public. Retain copyright alongside scholarly usage rights to distribute and reuse published materials. Communications in Inorganic Synthesis is sponsored and supported by: Universidad de Santiago de Chile and supported by: LatinAmerican Research Group.